Are you moving house or flat in the Fulham area? Searching for local and reliable home movers with an excellent reputation? If you are then call Casey’s Removals on 020 8780 2348 to arrange a FREE no obligation quote for your move. Just about every single home move is unique – whatever your home relocation requirements our highly trained and dependable movers and packer are able to help you. Our home moving service takes care of every single step – from meticulous packing of your personal possessions to safe transportation, you can be certain that your belongings are in the very best of hands. • From dismantling beds, wardrobes etc. • To securely transporting them to your brand new home. • To delivering your possessions and reassembly of your furniture exactly where you want it. So, if you are searching for removal companies near Fulham, look no further and contact us now! We have always emphasised to our customers how crucial it is for an estimator to visit your home in order to correctly assess all your requirements. This is an absolutely free service with no obligation, which also offers you the opportunity to meet us and to know who will be handling your valuable possessions. Feel free to call us on the below phone number to schedule our estimator to visit. You have absolutely nothing to lose besides 20 minutes of your time. We used Caseys to pack, move and store the contents of our sixth-floor three bed flat. I booked the firm with quite short notice as our house sale was quite complex so was relieved to hear they could manage it, a week before Christmas. The men came on a Sunday to pack and moved us out the next day. I was really impressed by the men – they were very good polite, tidy, hard working and efficient. It was a tough move as the lift is small and access is not easy but they never complained and were cheerful and helpful throughout. Our belongings are now in storage with Caseys before our next move and they are good at communicating with us, charge reasonable rates and I feel confident they will bring everything back in one piece! We offer the comprehensive range of home moving services that you would look for from any professional and long standing remover. We realise that one of the most challenging parts of a house move can be the packing of your possessions. That is why we offer a comprehensive range of packing and unpacking services to accommodate your particular requirements. Each one of our packing products are made from the highest quality materials and are specially designed to offer protection to your items during the course of transportation. Our Full Packing Service is ideal for you if you would prefer us to do all the hard work. It not only saves you time but the stress and effort of trying to get everything packed in time for the ‘Big Moving Day’! 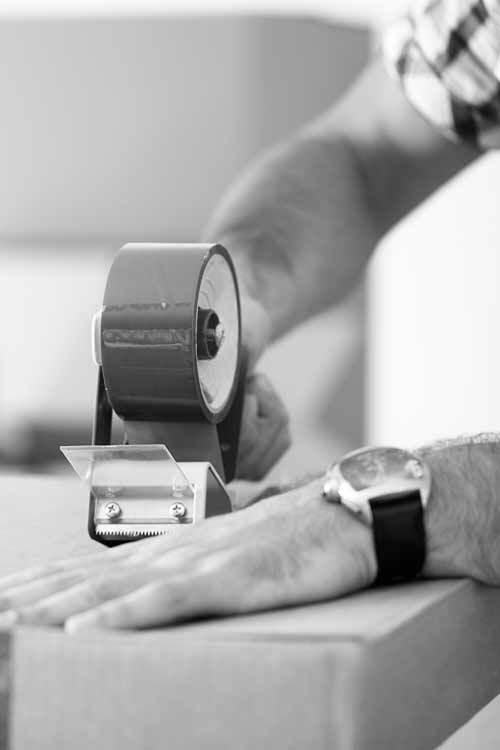 Our specialist crews will pack up everything throughout your home taking special care of all your delicate items. Where you are more than happy to undertake most of the packing yet you do not feel confident when it comes to knowing how to deal with the more delicate and fragile items, such kitchenware, glasses, mirrors, etc. then just ask about our Partial Packing Service. If you are on a very tight budget and would much prefer to pack and unpack yourself, we can help there too. We can provide you with all the necessary packing materials (boxes, packing paper and tape) all delivered to your front door. Short or long-term storage is an ever increasing area of our business and can be of great use whether you are moving home or staying put. Short-term storage is excellent with respect to possessions you basically want to store for a matter of weeks or months. This can be very useful for many people who are relocating to a brand-new flat or house but might have a period between the old property and the new in which they may need to live in rented property. Then again you might just wish to decorate or update the new property ahead of moving in or indeed redecorate your current property. Long-term storage is excellent with for those that are moving to overseas for work or travel and as a consequence will need to store household furniture and other belongings for a longer period of time. Long-term storage would most likely also be ideal for a lot of people who have moved to a smaller home along with need to place excess furniture in storage. Casey’s Removals offer a piano removal service. The service can be part of a home move or it can be provided as a stand alone service. We have the appropriate tools and skills in order to move your beloved piano in a safe manner, no matter if that be an Upright or Grand Piano. Piano moving is a particular skill. It needs the right equipment as well as a degree of experience in order to remove a piano from one specific location to another without causing damage or injury. Our piano movers are fully trained and insured in order to handle piano removals of numerous types. Being a major piano removal company in the South East, we provide services to all regions across London, Kent and Surrey. If you possess large and heavy items, such as American style fridges and sofas, that you need to move to the upper floors or possibly even the roof of your building you may have difficult access. We have the solution. Our truck-mounted external furniture hoist enables us to raise furniture and other large items up to just about any balcony, window or roof terrace. It’s fast, efficient plus an economical means to lift up any volume of furniture or equipment during a delivery or move. Precisely why you should choose us? We know just how nerve-wracking moving can be – permit our experts make it a problem-free experience. You can feel confident our company are going to take the greatest care when ever moving your possessions. Our committed team are always here to answer any of your inquiries. To learn more about Fulham removals go here.